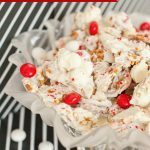 Today I’m sharing a new twist on my my favorite Christmas munchie treat, I give you, White Chocolate Pretzel M&M Peppermint Bark Recipe! 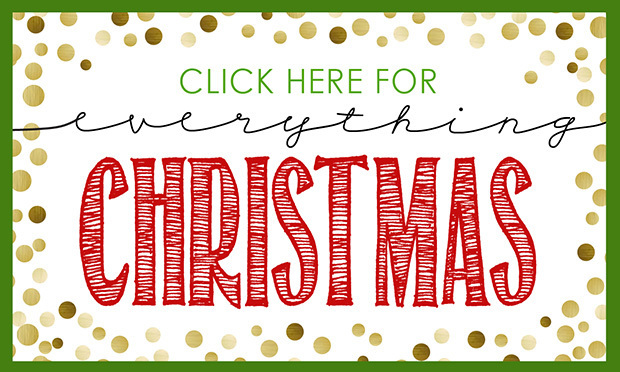 If you’ve been around a while, you’ve likely seen my Christmas Crunch recipe. It’s a simple, delicious treat to make for friends and neighbors around the holidays! I’ve realized in the last year, that I prefer white chocolate above all other chocolates. 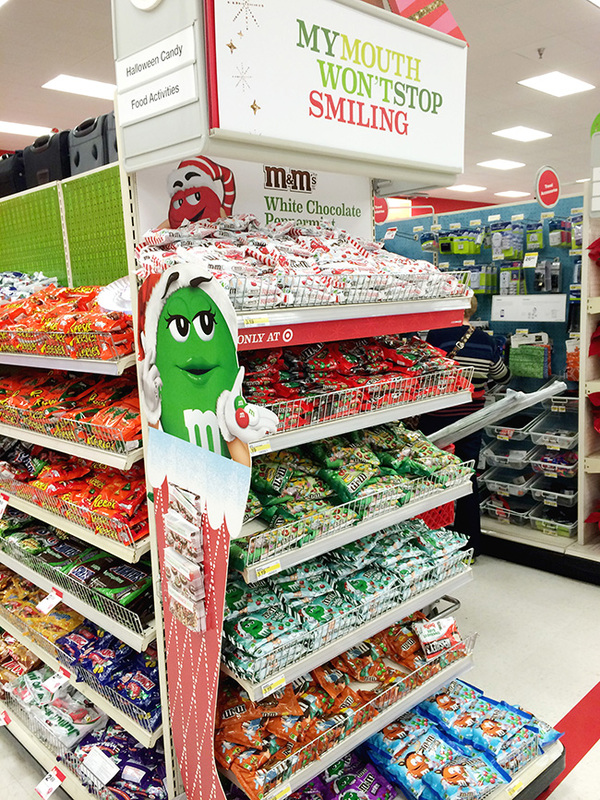 With just these 3, it is perfection, but I also decided to throw in some candy cane pieces, already crushed. Then, to package it up, I found this cute Glad winter containers, that are also only at Target! 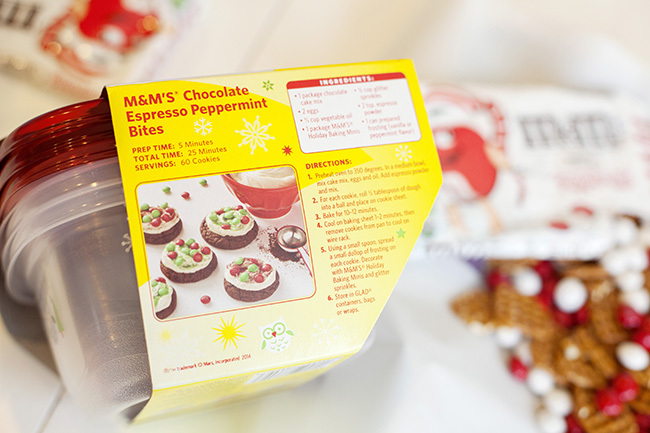 On the back of the packaging, is also suggestions for other holiday recipes. 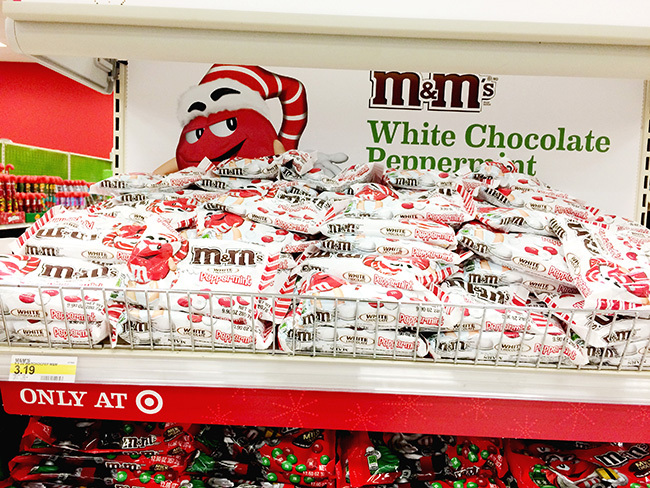 I found one type of Glad holiday containers in the holiday section, then others in the section with sandwich bags, by the food. I tied a bow around the container, and it’s ready to deliver to friends! 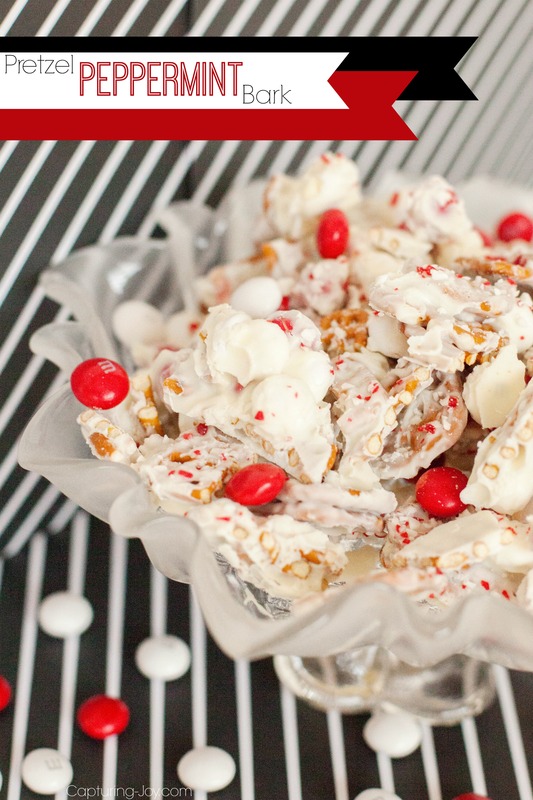 Do you want the super easy recipe for the Pretzel Peppermint Bark? Just 3 (maybe 4) ingredients! 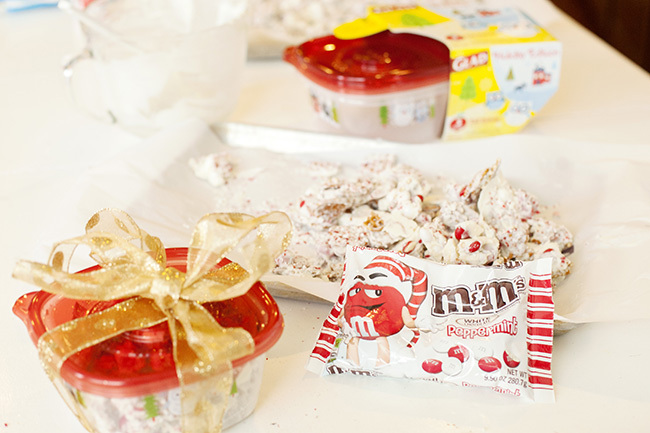 Spread the M&M's and pretzels onto a parchment paper lined baking sheet. Melt white chocolate bark according to directions. 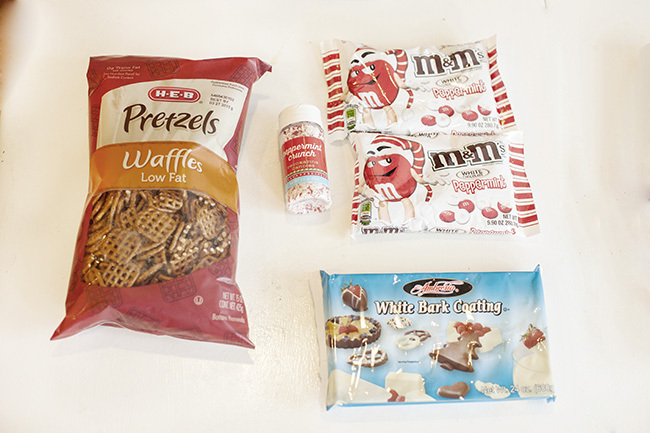 Pour white chocolate bark over pretzels and M&M's. 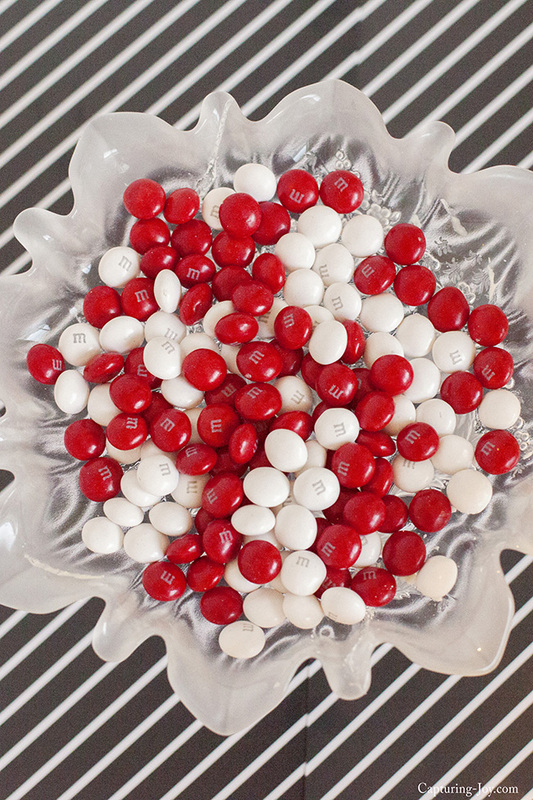 Sprinkle candy cane pieces or sprinkles over top. Let set for 10-20 minutes, til white chocolate hardens (sometimes I freeze it to quicken it up). Break apart the bark into pieces.